1. If your picture has a strong central subject, like this parrot, then it's usually best to start by working out your color scheme and design for that first. 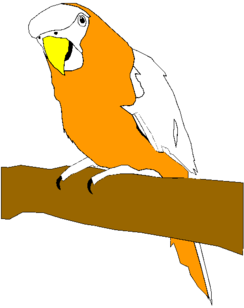 I chose a light blue background since this contrasted nicely with the orange and yellow of the parrot. I also included a lighter shade of yellow as I was completing the parrot's head and beak. 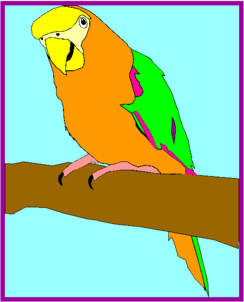 I chose a purple frame which contrasts nicely with the bright colours of the parrot but you could try other colours and sizes for your frame.